Corolla hatchback debuts at the 2018 New York International Auto Show. For 50 years, the Toyota Corolla has faithfully served as the budget vehicle of choice for millions of drivers the world over. Toyota has offered this compact model as a coupe, sedan, hatchback and wagon, but in recent years we’ve seen only the sedan, at least in North America. Beginning in 2019, a Corolla hatchback will join the sedan. Yes, there currently is a Corolla hatchback, but it isn’t the same model — rather it is the Corolla iM, formerly the Scion iM. 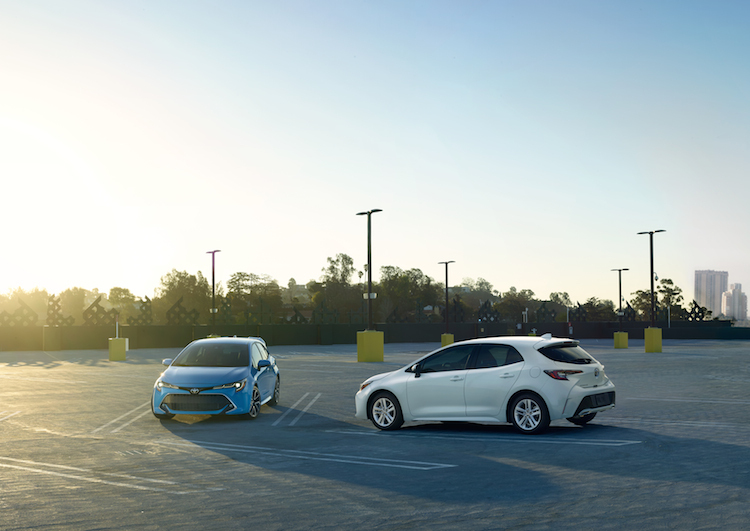 The all-new 2019 Corolla hatchback is a derivative of Toyota’s new global architecture, leaping ahead of the current sedan in “newness” and sportiness. Indeed, Toyota says the hatchback will feature a revised sport-tuned suspension. Further, the hatchback will get a new 2.0-liter four-cylinder engine paired with a six-speed manual or automatic transmission. 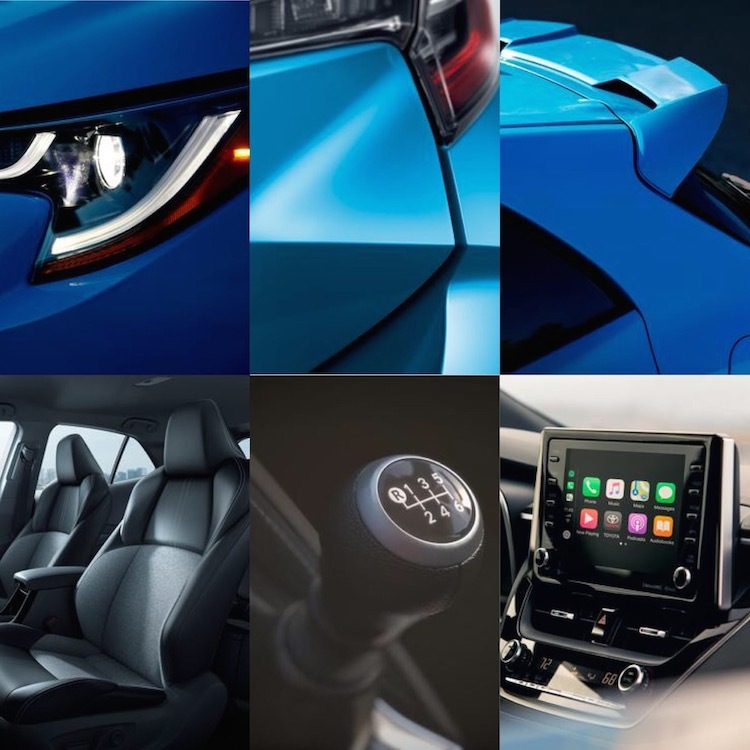 Toyota announced the 2019 Corolla hatchback prior to the start of the New York International Auto Show this week. That show launches with two media days on March 28 and 29, then opens to the public on March 30. The New York show is open on Easter Sunday and concludes on April 8. The hatchback will offer a similar front fascia to the sedan, but the overall canvas is comprised of sweeping lines and distinct edges. The new model is lower, wider and longer than the Corolla iM, with a wheelbase that’s 1.5 inches longer than the outgoing model. Toyota hasn’t released the performance numbers for the new engine, but we do know that it is a high-compression engine with both direct and port injection. This combination typically yields an engine that’s more powerful, cleaner and efficient than comparable older designs. What’s especially terrific here is that Toyota hasn’t abandoned the manual gearbox, despite low demand for the same. The new hatchback will come in two trims — SE and XSE. Standard tech features include the latest telematics system with Apple CarPlay and Amazon Alexa Connectivity. Other features include an eight-inch color touchscreen, six speakers, Siri Eyes Free, Bluetooth, a USB port and auxiliary audio input. Upgrades include an eight-speaker JBL audio system, satellite radio, HD Radio and navigation. Manufacturers continue to build in additional driver assist safety features into more models or at least make them available on some trims. Toyota has been at the forefront with its own Toyota Safety System package. For 2019, the Corolla hatchback will come with the second generation of this suite, dubbed TSS 2.0. Here, you’ll find automatic high beams, a pre-collision system with pedestrian detection, full-sized range dynamic radar cruise control, lane departure alert with steering assist and an all-new lane tracing assist. Notably, the latter works in conjunction with dynamic radar cruise control to keep the hatchback centered as it “reads” white or yellow lane markings. Further, you’ll find the usual blind-spot monitoring on the XSE and available on the SE. Certainly, the Toyota safety package with the 2019 Corolla hatchback should attract buyers. There are a few things about the Corolla Hatchback we still don’t know, including performance numbers and price. We expect additional information forthcoming at Toyota’s press conference which, incidentally, will introduce the next-generation RAV4, its most popular model. We’ll update this page once that information is made known. As for availability, the 2019 Corolla hatchback goes on sale this summer. Lastly, as for the sedan, we believe it will also receive an update, perhaps arriving by early next year. Photos courtesy of Toyota Motor Sales, U.S.A., Inc.